If you are not sharing what you do in the classroom, then someone else will tell your story for you. Making assumptions about what you do and why. Telling you what they think you need. With all of the different things that are being shared about teaching, what part of that conversation is you? Now is the time to Tell Your Story! One of the easiest ways to do this is by blogging – it creates a place where you can do so many powerful things. You can share your love of teaching and how important your students are. You can share lesson plans and get feedback on what you have done. You can get new ideas and get some tweaks for old ones. You can learn something new. You can advocate for your profession. All good reasons not to start. When you do something new for the first time, it can be scary and easy to put off until tomorrow. There is one really important thing to consider here: no one can tell your story like you can. No one. If you can write an email, you can blog. If you can Facebook, you can blog. If you can tweet, you can blog. If you can Pinterest, you can blog. If you teach, you can blog. Take the risk. When you step into the unknown it can be risky. You don’t know what the outcome will be. You are worried about the perceptions of others. You wonder if what you have to say is important (it is). You have unanswered questions. You may be really shy. These can be challenging issues to overcome. Guess what? You can do it! Starting a blog is almost as easy as writing a long Facebook post. Use WordPress or Blogger to get started. Blogger is in the Google family – so if you have gmail, then registering here is a easy as logging in to check your email. Blogging allows for so much more conversation and you can organize your posts by keyword or category to revisit later. Share what you have written with others. This is the fun and exciting part of blogging. The conversation that can occur because you took a risk, started a blog, and shared it with others, is amazing. It can take a short time to get your blog organized and set up. Both of the blogging sites listed here have templates and other things that make getting your blog going as quickly as possible. What was/is your favorite lesson to teach? What is one thing that you could do different and why? If you could purchase anything for your classroom, what would it be? How have budget cuts impacted you? What do you wish non educators really knew about teachers? Once you have your blog going please share it in the comments. 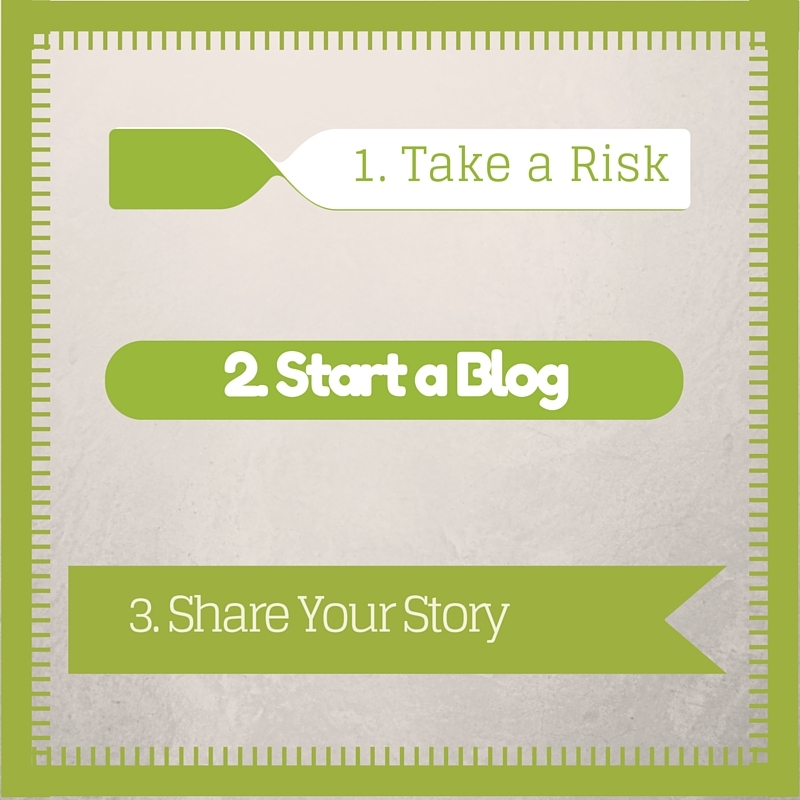 If you are already a blogger – then share this with those who are not. Help them understand the importance of finding their voice and sharing with the world how amazing educators are. How much hard work and dedication it takes. Help them to create strong collaborative communities of like minded teachers, willing to help each other get better every day. 2 Responses to "Tell Your Story"
Having attended your presentation at today’s OTA conference, I am emboldened. I am reading all the links and information you provided to the attendees. I have been thinking hard, for quite a while, about Blogging as an outlet for my desire to write. You will be hearing from me once I get the details under control. Thank you for giving me the “push” I needed!